Published 16th July 2012 by Jon Scaife & filed under Android. Last updated 7th June 2013 . I’ve had my Galaxy S3 a little over a month already and have slowly been com­pil­ing a worth­while list of tips and tweaks that I use and can recom­mend to oth­er users. 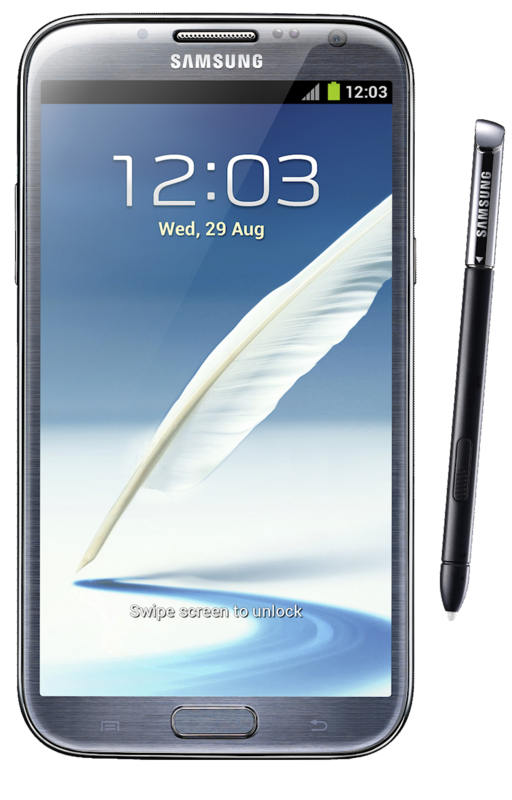 I’ve updated the list to include tips for the Galaxy Note 2 which my part­ner now has. Many of these may also apply to oth­er Sam­sung or even oth­er android phones, but some are spe­cif­ic to the galaxy S3 or Galaxy Note 2. By all means try them regard­less of phone and let us know how you get on. Major update (18th-Oct-2012): Now includes tips for both Galaxy S3 and Galaxy Note 2. Tips are for both phones unless noted. Des­pite what you may have heard else­where root­ing now is a very quick and pain­less pro­ced­ure. Tech­nic­ally it does viol­ate your war­ranty, how­ever, if you need to use the war­ranty simply unroot again before return­ing the phone. Unroot­ing is just as easy as root­ing. I’ve already writ­ten up the root­ing pro­ced­ure for the Galaxy S3 and the Note 2 so rather than repeat it here just read my ori­gin­al art­icles. This is prob­ably the best known mod for the Galaxy S3 & Note 2. XDA-Developers mem­ber hyperX has mod­i­fied the built-in cam­era app and enhanced it in sev­er­al ways. The mod is avail­able either as an .apk which you can copy over the ori­gin­al, or it comes as a flash­able zip. Flash­ing the zip is done via recov­ery (e.g. clock­work­mod) which you get when you root. Altern­at­ively you can over-write the .apk with a file man­ager app (e.g. ES File Explorer, avail­able free from Google Play) but again, you need to be rooted, so count this as your second good reas­on to do the root men­tioned in step 1. Unless you need a stu­pidly secure phone hav­ing voice or facial unlock­ing is actu­ally pretty handy, I use facial recog­ni­tion unlock all the time, its much han­di­er than hav­ing the swipe a pat­tern or enter a pin. Go to the home-screen, press the menu but­ton and select set­tings. Choose secur­ity, screen lock and then face unlock. Fol­low the instruc­tions to set it up. There are oth­er options you can also set up — choose whatever suits you. On of the well pub­li­cised fea­tures isn’t actu­ally enabled by default. I can’t under­stand why as its one of the most use­ful fea­tures I’ve found on the S3 com­pared to my old HTC Desire. Smart Stay uses the front-facing cam­era to pre­vent the screen timeout turn­ing the screen off if it detects that you are look­ing at the screen. To turn it on go to the home-screen, press the menu but­ton and choose set­tings. Open the dis­play set­tings and turn on “smart stay”. Simple as that. Premi­um smart­phones are always a rich tar­get for thieves, but thanks to their GPS and data con­nec­tions it is pos­sible to turn the tables on would-be scum. The free ser­vice prey provides a small app which you install and asso­ci­ate with your account. You can then remotely loc­ate, con­trol or lock your device. You can also make the device make a loud noise to help you find it if you’ve lost it some­where in the house. Every 6–9 months I pub­lish a list of the apps that I’ve been using reg­u­larly. They’re almost all free, and I’ve lis­ted them entirely because I use them — there’s noth­ing sponsored there. Take a look at the most recent apps-list and see if any­thing takes your fancy. 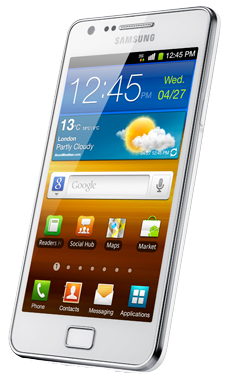 The Galaxy phones include an “auto haptic” fea­ture which turns all out­put­ted sounds into auto haptic feed­back. This is really use­ful for some apps, but a waste of power for oth­ers. For­tu­nately it can be cus­tom­ised by app. To turn it on go to Set­tings, Sound and scroll to the bot­tom and click the slider to turn auto-haptic on. Then Press and hold on the “auto-haptic” name to open a list of apps. Untick indi­vidu­al apps for which you don’t want auto-haptic, e.g. nav­ig­a­tion apps and media play­ers. There are vari­ous codes you can enter into the dialer to gain access to sev­er­al ser­vice menus. There are also some codes float­ing around on the inter­net that will fact­ory reset your phone. Don’t dial ran­dom codes in without check­ing them first! Sam­sung phones, Like HTC’s (and prob­ably oth­ers) only charge at full speed from the sup­plied wall-wart. In the wall-wart the USB data pins (2 and 3) are shor­ted togeth­er to tell the phone to draw a high­er cur­rent from the char­ger. Whilst it is not easy (or advis­able) to try to achieve this with a PC, it is pos­sible to do so with cheap 3rd party char­gers and in-car char­gers. Simply open the device up and short the middle 2 pins. For more detailed inform­a­tion see my pre­vi­ous art­icle about how to do this for HTC phones — the pro­ced­ure will be identic­al. Sam­sung, in their infin­ite wis­dom, have decided to remove one of the most fun­da­ment­al fea­tures of the key­board in the update to Android 4.1 (Jelly­Bean): the auto­mat­ic selec­tion of the most likely word! Sadly they have actu­ally removed this, there is no way to turn it back on in set­tings. So, stop wast­ing time try­ing to get it back (or won­der­ing if you just ima­gined that it once worked) and get an altern­at­ive key­board from the Play Store. Please post your altern­at­ive key­board recom­mend­a­tions in the com­ments below. Thanks. There are sev­er­al ways to turn on and access google now. The easi­est is to press and hold the menu but­ton — google now should just open. You can also access it by hold­ing down the home but­ton for 2–3 seconds, and when the screen changes click on the ‘g’ but­ton at the bot­tom centre. With a pre­vi­ous update (I’m not sure exactly which), Sam­sung changed the key­board func­tion­al­ity slightly, and word pre­dic­tion no longer chooses the most likely word — mean­ing texts take longer to write, or con­tain lots more errors. Google have now released their default key­board on the Play Store so you can down­load and use it instead (for free). All the feed­back I have seen so far has been pos­it­ive so give it a try and see if you prefer it. Assum­ign you use Face­book on your phone (and I guest a sig­ni­fic­ant major­ity do) you may (or may not) have noticed that if you send a mes­sage to someone it will include your loc­a­tion. To dis­able this you need to install the “Face­book Mes­sen­ger” applic­a­tion from the Play Store. Once installed, open mes­sen­ger, click on the menu but­ton, and select set­tings. Click on “Loc­a­tion” and untick “Loc­a­tion is on”. Then select OK and use the back but­ton to exit the app. Face­book have released “Face­book Home” func­tion­al­ity for smart­phones which allows face­book to inter­act with your homescreen and appear over the top of oth­er applic­a­tions. To allow mes­sages to show up (or to hide them) without installing the entire Face­book Home app you can use the Face­book Mes­sen­ger app. Install it from the play store, open it, press the menu but­ton and select “set­tings”. Select “Noti­fic­a­tions” and then enable (or dis­able) “Chat Heads”. You then need to get someone to send you a mes­sage — it should pop up no mat­ter what you have open on your phone. From then on you can open any mes­sage, old or new, and it will pop up a round float­ing “head” to track the con­ver­sa­tion. High­er capa­city com­pat­ible bat­ter­ies are now avail­able. 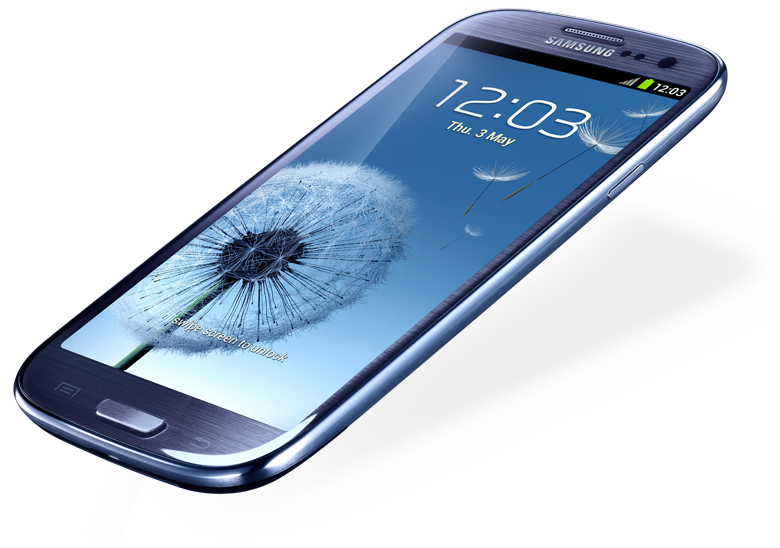 The S3 has a 7.98Wh 3.8V bat­tery as stand­ard. This trans­lates (from P=IV) into 2079mAh, or 2100mAh as mar­keted. “Gold” grade sub­sti­tutes are avail­able up to 3250mAh as a stand­ard fit, and up to 5500mAh with a fat­ter­back piece. This equates to 55% great­er for a stand­ard fit, and 260% great­er with a lar­ger lar­ger replace­ment back. Using non-genu­ine parts will of course inval­id­ate your war­ranty. That’s all for now, but I’m sure there will be addi­tion­al tips com­ing in the future. Key­board sug­ges­tions: Swype, of course, is a clas­sic. Swiftkey is very good if you don’t mind a breach of pri­vacy in the name of con­veni­ence. I am cur­rently using GO Key­board. It was advert­ised to be very cus­tom­iz­able. Unfor­tu­nately, they just mean col­ors and such, not much in the way of lay­out. But I like that it brings back auto-cor­rect and a more google-key­board-like emoticon sec­tion. I still miss the row of num­ber keys along the top of the alpha key­board, but it has a very nice 10-key num­ber pad you can bring up at any time. Only com­plaint is that it has 1 at the top left instead of bot­tom left. Cheers Justin, it’s use­ful to have a range of altern­at­ives, espe­cially with a bit of info about of them!